As it Labor Day, I have out of town company visiting for the weekend, so today’s post is presented with minimum commentary. Clockwork Tower – Steampunk resin scenery. Probably the most interesting project this week. Mimic Miniatures – This is round two for this particular project. I’m not necessarily opposed to relaunching, but I would say when you reduce your funding goal by 85% it lacks credibility. Perhaps I will have more to say on this later. 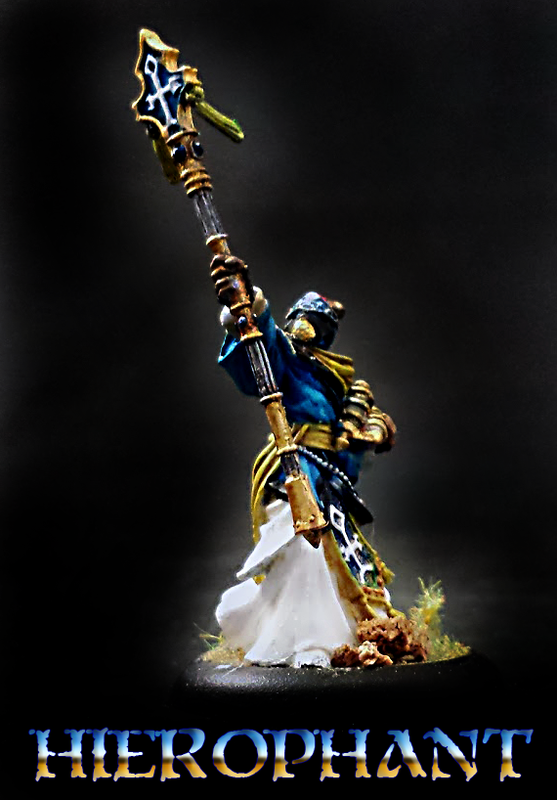 Still no love for the Hierophant mini I painted well before this post was made, hmmm? Well, it’s here in all its glory!